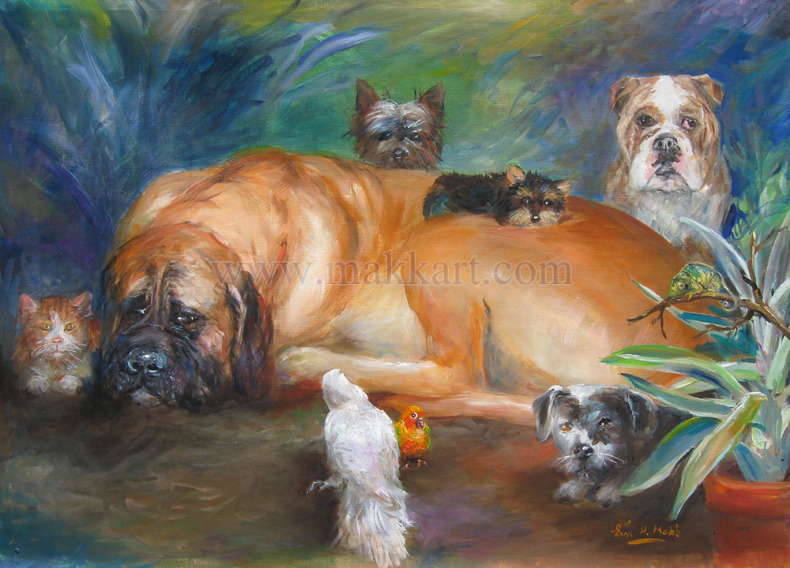 Portraits can be painted of loved ones, including pets. This portrait commission shows all of the pets a collector has or had in the past. This is something unique a portrait allows you to do. Very special and heart warming! !